Nikon Picturetown is a safe and secure digital photo storage and sharing service where you can store and share high quality images including RAW files. Sign up for the free service HERE and you'll stand a chance to WIN US$1000 travel voucher to spend on any flight or holiday package from Zuji, plus another US$1000 for your expenses from Nikon! 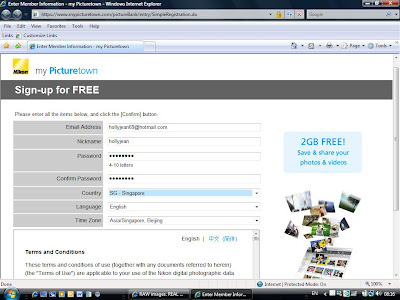 After receiving the email to confirm your sign up, you can now log in to your Picturetown account. 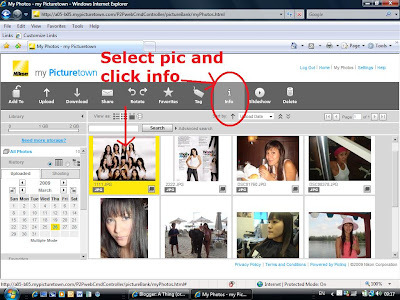 To Upload Your Photos onto Nikon Picturetown, simply click "upload"
And you can use Picturetown to host/share pictures on your blog. The photos are still stored on my Picturetown, so you don't have to worry about your blog site's storage capacity. You can directly link Library images to blogs so that they appear in the blogs. 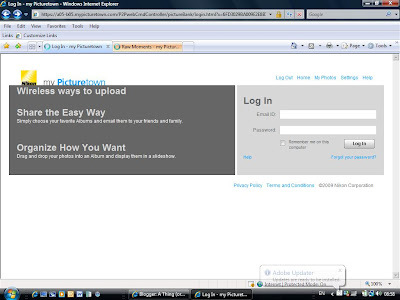 Select the image for the blog. Click on the "Info" button. The Photo Info window appears. 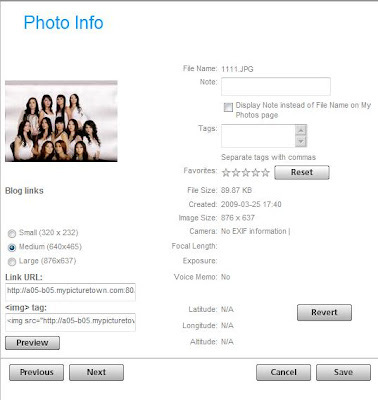 Select a display size for the image under Blog links. Copy the URL in the [Link URL] text box onto your clipboard. Paste the copied URL into the image link entry area of your blog. 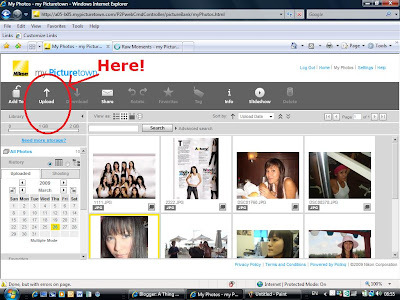 Click on the [Cancel] button to close the Photo Info window. canon user can sign up too?? 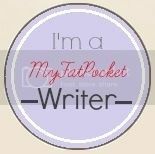 do check out the widgets too, nifty little thing for blogs.